Although they can be advantageous for employers, non-compete agreements can be extremely detrimental to employees. They narrow career paths, block opportunities, and force employees to stay in undesirable jobs. Non-compete agreements can also affect third parties, like customers and patients, who might find their former hairdresser or doctor refusing to provide service or care solely due to the fact that he or she signed a non-compete agreement. It is best to always consult with a labor attorney NYC before making any decisions. A non-compete agreement is an agreement that prohibits a person from working for a competitor of their employer for a certain period of time after the employment relationship ends. A non-compete agreement can limit your ability to move around in your industry. By signing one, you effectively agree that if you stop working for your employer, you will not work for a competitor for a period of time that typically ranges from six months to two years. How Does a Court Decide if a Non-Compete Agreement is Enforceable? 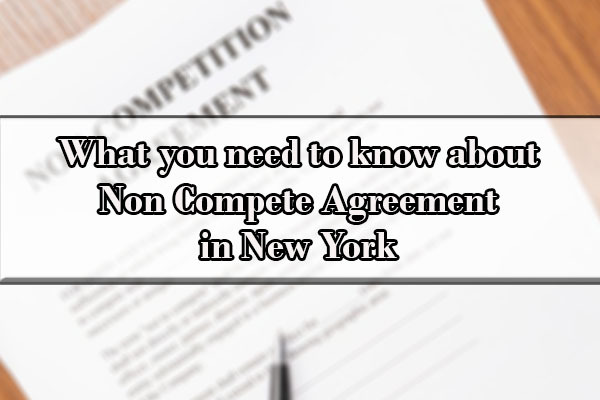 The enforceability of a non-compete agreement in New York is highly fact-specific, meaning that the analysis will change according to the particular agreement and set of circumstances surrounding the relationship. Does the employer have some legitimate interest it is protecting with the non-compete agreement? What is the geographic scope of the restriction? Will it keep you from making a living? What is the temporal scope of the restriction? How long will the non-compete agreement last? Does the agreement keep you from doing a type of work very different from what you had been doing? Did the employer provide you with additional compensation or benefits in return for getting your agreement to sign the non-compete? Did you voluntarily resign from your employment or were terminated without cause? A) Does it Matter That I was Terminated Involuntarily and/or Terminated Without Cause? Yes, it does. An involuntary termination and/or a termination without cause is a termination that occurs through no fault of the employee. Budget problems, operational restructuring, and downsizing are common reasons for a termination without cause. It is well settled that New York courts will not enforce a non-compete agreement where the former employee was involuntarily terminated. This is because an essential aspect of enforceable restraints on an employee’s ability to change jobs is the employer’s continued willingness to employ the party agreeing not to compete. This reasoning relies specifically on the unfairness of a scenario in which an employee against whom the non-compete agreement is sought to be enforced has done nothing to bring about his/her termination. New York has a strong public policy to afford an individual the right to work and pursue a livelihood. While a non-compete agreement may be valid to the extent it furthers some legitimate goal of the employer, it is not valid if its only purpose is to restrict competition. There needs to be some good reason to justify enforcing a non-compete agreement. For example, if the employer introduced you to all its best customers, it may have a legitimate interest in keeping you from going to a competitor and luring those customers away. The goodwill developed in terms of customer relations gives the employer a competitive advantage. They may want to prevent you from exploiting these relationships to your benefit and their detriment. Or, if you gained certain confidential knowledge that you would inevitably use in the course of working for your new employer, a court may find that to be a legitimate reason to uphold a non-compete agreement. is not injurious to the public. Courts must weigh the need to protect the employer’s legitimate business interests against the employee’s concern regarding the possible loss of livelihood, a result strongly disfavored by public policy in New York. in those cases where the employee’s services to the employer are deemed special or unique. For example, in cases where the employee’s job was not unique and the employee did not possess trade secrets or confidential information, New York courts will not enforce a non-compete agreement because it would not be necessary to protect a legitimate interest of the employer. Courts often consider these factors (geographic scope, length of time, nature of duties restricted and consideration) in relation to one another. For example, if the non-compete agreement is designed to protect valuable information, the reasonable duration is for the time the information has value. Further, a broad geographic scope – say an entire state – may be more likely to be enforceable if the duration of the restriction is short – say a month. On the other hand, a broad geographic scope coupled with a long time period of prohibition is more likely to be held unenforceable by a court. When looking at geographic scope, courts examine the services provided by the employer. The court generally will not permit a non-compete that prevents an employee from working in a region where the employer does not do business. 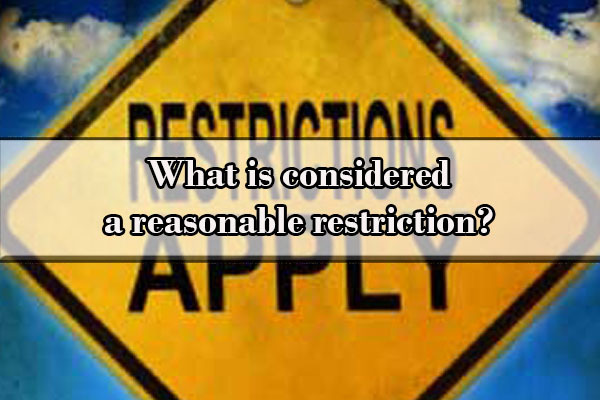 C) What is considered a reasonable restriction? Employers may have a legitimate interest in protecting material that is not a trade secret or proprietary, but involves highly specialized, current information not generally known in the industry, created and stimulated by the research environment furnished by the employer, to which an employee has been exposed solely due to his employment. Accordingly, courts must evaluate the reasonableness of the non-compete agreement in light of the individual circumstances of the employer and employee and balance the employer’s need for protection and the hardship on the employee that may result. Thus, the court must assess an agreement’s reasonableness on a case-by-case basis. A court therefore may not presume that a temporal or geographical limitation deemed reasonable in one case is necessarily reasonable in another. In determining whether a non-compete agreement protects a business’s legitimate business interests, the court will consider the agreement’s duration, the geographic limits, and the scope of activities prohibited. Each of those factors must be narrowly tailored to ensure the non-compete is no broader than necessary to protect the employer’s interests. An employer has no legitimate and/or protectable interest in preventing competition as such, and a non-compete agreement cannot be used to stifle legitimate competition, including competition from a former employee. Courts evaluating the hardship prong have considered the likelihood of the employee finding work in his field elsewhere. There may be restrictions which are so broad that they eliminate the ability to work at all in a given field or profession. New York courts recognize that non-compete agreements clearly limit an employee’s employment opportunities and in many instances probably interfere with an employee securing a position in which he could most effectively use his skills, at the same time depriving society of a more productive worker. Even if the court finds that the non-compete agreement is enforceable, the court may still limit its geographical area, its period of enforceability, and its scope of activity under what is known as the ‘blue pencil’ rule. If a non-compete agreement is overbroad, a New York court may choose to modify it (by reducing its duration, scope, etc.) in order to make it enforceable. Courts are not required to blue pencil an overly broad non-compete, and can instead simply decline to enforce it. As a result, many employment agreements are drafted to include a “blue pencil clause” – which essentially states that both parties intend for the non-compete to be enforceable to the maximum extent allowable by law (and if it’s overbroad, a reviewing court should blue pencil the clause in order to make it enforceable). The employee choice doctrine is an exception to the usual requirement that a non-compete agreement be reasonable. In other words, reasonableness does not matter if an employee has the choice between not competing, and receiving certain contractual benefits, or competing and giving up those benefits. Thus, the employee must voluntarily leave employment. The point, of course, is that it has to be the employee who makes an actual choice between competing or receiving a benefit. If the employee is terminated, the employer has in fact made the choice for the employee and any non-compete the employer seeks to enforce will be subjected to the usual reasonableness standard. receiving benefits/deferred compensation/etc. – the non-compete will most likely be considered valid and enforceable. Non-compete agreements and their applicability are some of the more complex points in the employment law arena. If you choose to work for a competitor of an employer with whom you have a non-compete agreement, your former employer may decide to do nothing. In this case, be sure to come to some kind of agreement with the employer so you can do what you want. Additionally, be sure to get the employer to release you from your non-compete agreement with a non-compete release letter. On the other hand, the employer may sue you and go to court seeking what is called an “injunction” to prevent you from violating your agreement. Because a violation of a non-compete agreement can cause an employer immediate harm, the court will often use expedited procedures in these cases. Once your employer requests an injunction or restraining order, you may have very little time to retain a New York non-compete attorney and discuss your case, so make sure that you enlist the help of an experienced employment attorney as soon as you know that your employer is challenging your actions. If an injunction is granted by the court, this is a legal remedy which can stop you as an employee from working. It can cause you to lose your ability to be employed for whatever period of time the court sets. This can last for months or years until the court reaches a resolution of the final decision on whether the non-compete agreement which the employee signed is actually enforceable or not. Additionally, the employer can seek any actual damages or losses which they claim have occurred due to the employee’s violation of the non-compete agreement. This could include lost profits from customers, the loss of secret employer information, and similar losses. Courts will therefore enforce non-compete agreements, but only to the extent necessary to protect the legitimate interests of employers. 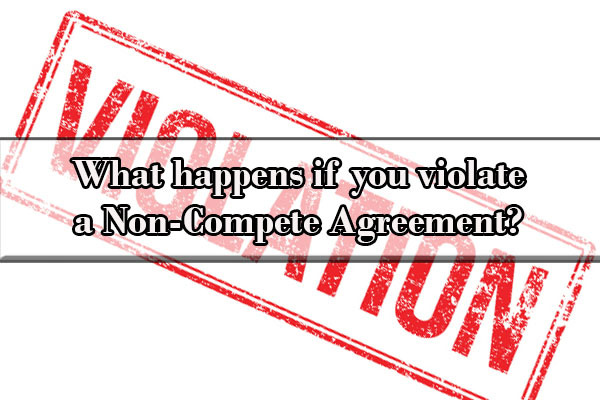 If you have any questions about your non-compete agreement, contact an experienced non-compete attorney today. Because of the uncertainty in this area of the law, it is important to consult an experienced non-compete lawyer before signing a non-compete agreement. Try to limit it as much as possible in terms of geographic scope and duration. Limit it narrowly to the area the employer is actually concerned about you working in not the whole industry or line of work. Ask for severance pay in the event of an involuntary termination. With so much potentially at stake, if you have any concerns at all about an agreement, it would be wise to consult with a non-compete attorney who is familiar with these types of agreements. Making an incorrect assumption about the validity of a non-compete agreement could seriously affect your ability to work and could cost you a lot of money, so you want to proceed carefully. Advertising and promoting competing services or products in any existing or future advertising medium, including, but not limited to, e-mail, social networking media, radio, television, newspaper, periodical, trade magazine, trade show, convention, flyer and direct mail which is aired, received or takes place, as applicable, in the Geographic Area. 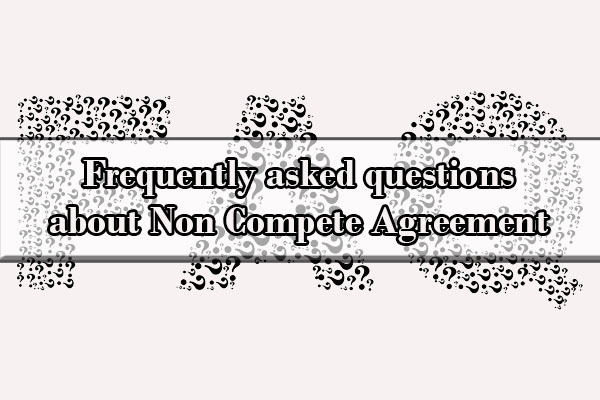 Q: Can my employer make me sign a non-compete agreement? A: No. However, not agreeing to a non-compete agreement may cost you your potential job (or your current job, if your current employer now wants you to sign an agreement that did not apply to your employment before). If the employer is unwilling to give up on the agreement or alter the form or content to better suit you, you may be not be hired, or you may be fired if you are already employed. Q: Is it legal to deny me a job just because I refuse to sign a non-compete agreement? A: Yes. An employer is allowed to condition a job on the signing of a non-compete agreement. Q: Does my employer have to pay me additional money in exchange for a non-compete agreement? A: Generally, your employer does not have to give you additional financial compensation. Q: Is it legal to ask an employee to sign a non-compete after being hired? A: Yes. An employer can request that an employee sign a non-compete agreement at any time. Q: How to get out of a non-compete agreement? A: In New York, the courts will only enforce a non-compete agreement that is reasonable in geography and in time and necessary to protect a legitimate protectable interest. Q: I had signed a non-compete agreement with my former employer but was thereafter fired without cause. Can they enforce it against me even though they decided to fire me? A: It is well settled that New York courts will not enforce a non-compete agreement where the former employee was terminated without cause. This is because an essential aspect of enforceable restraints on an employee’s ability to change jobs is the employer’s continued willingness to employ the party agreeing not to compete. This reasoning relies specifically on the unfairness of a scenario in which an employee against whom the non-compete agreement is sought to be enforced has done nothing to bring about his/her termination. In this case, it is better to consult with a New York non-compete agreement lawyer to see what options you have. Q: If the non-compete agreement I signed is enforced, it would completely prevent me from earning a living at all. A: Courts are very reluctant to enforce a non-compete that is so broad it would keep an employee from being able to earn a living. Q: All of us here at work have non-compete agreements, but the company has never enforced them when someone leaves. Does that mean I can just ignore it? A: Legally no, but it may give you a hint that the employer does not see the cost and risk of trying to enforce the agreement as worth it. It may also be that the employer has decided the agreement is probably not enforceable anyway. Unfortunately, that is no guarantee that the employer will not try to enforce it in your case. Before you deliberately choose to violate a non-compete agreement to which you are subject, consult a New York employment lawyer who can go over the agreement with you and help you assess an appropriate course of action. Q: Our company was bought out by another company, and now we’re told that we’re subject to non-compete agreements that we didn’t read or sign? Can the new employer enforce the agreement against us? A: No. In order to be bound by an agreement, you must affirmatively agree to the terms of the agreement – such as by reading and signing it. There must be a meeting of the minds. Q: Is there any other way to find out if the agreement is enforceable? A: Yes, the way to test the enforceability of a contract is to being an action for a declaratory judgment. Depending on the individual situation, it may make sense for the employee to bring a declaratory judgment action asking the court to determine whether the agreement is enforceable. There are many practical and tactical considerations involved in deciding whether or not you as an employee should initiate a declaratory judgment action challenging a non-compete agreement. No one-size-fits-all answer applies to this issue. Has your employer made you sign a non-compete agreement? Have you been terminated without cause and now struggle to find work because you are forbidden to work in your field of expertise by non-compete agreement? The experienced employment law attorneys of Law Office of Yuriy Moshes, P.C. will protect your interests. Our law firm operates in all five New York City boroughs (Brooklyn, Manhattan, Queens, Staten Island and Bronx), northern New Jersey, Long Island, and upstate New York.